We had already discussed Kebelo treatment, which boasts 100 days of smooth, frizz free hair that dries quicker and styles easier. Kelsie is the Kebelo Queen at Fin & Co, so the first half of my day I spent with her. The Kebelo process starts with a shampoo to completely clean your hair for the treatment. my hair was then dried and the conditioning treatment was applied. 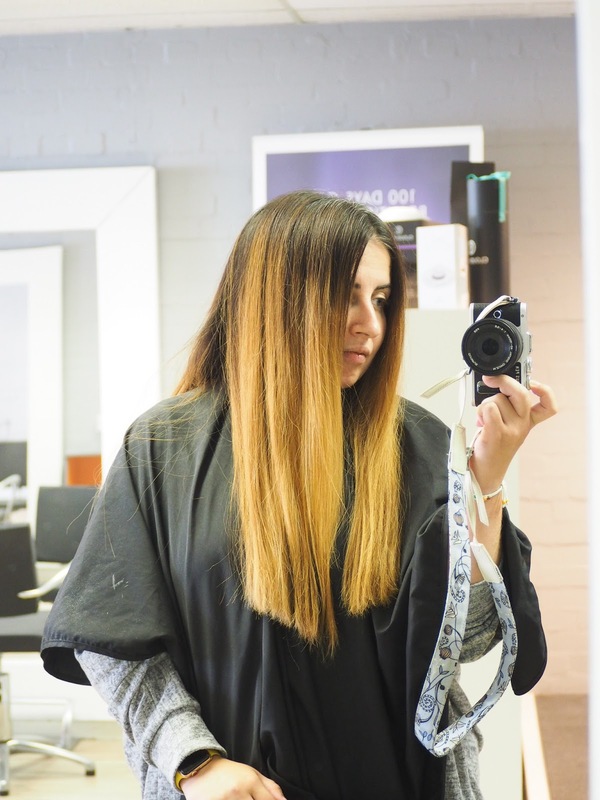 The treatment was then dried and straightened into my hair and left to work the magic. "Goodbye frizz, hello smooth. With The Original Smoothing treatment you will get 100 days of frizz- free, easy to manage, healthy, shiny, smooth hair. We know how bad hair days can be stressful. We know years of styling and colouring can leave hair damaged and prone to frizzing. And we know how much time and effort it takes to keep it looking beautiful. Those days are now over. With this revolutionary smoothing treatment you will get amazingly smooth, frizz-free, glossy, easy to manage hair. If you are one of the 86% that suffers from either dry, damaged, frizzy or unruly hair, then this is the solution. 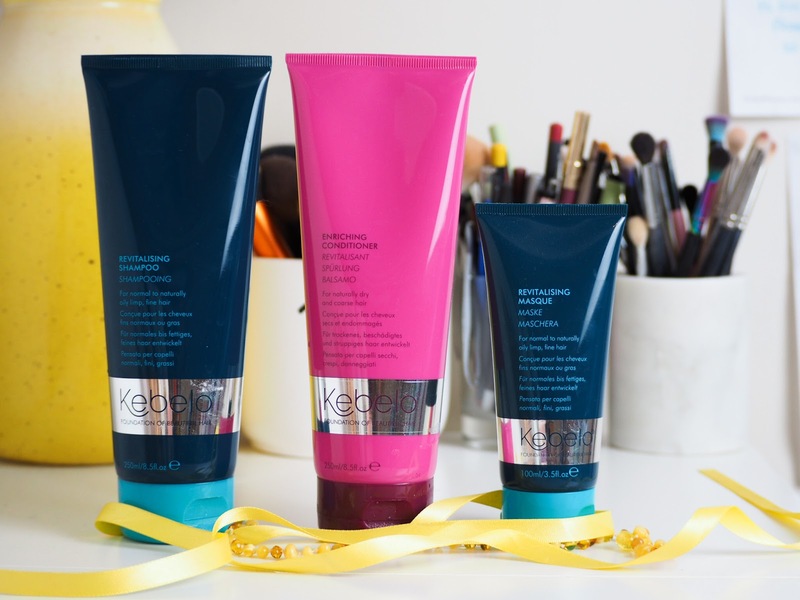 The Original Smoothing treatment by Kebelo takes fours simple steps; cleanse, treat, masque and maintain. 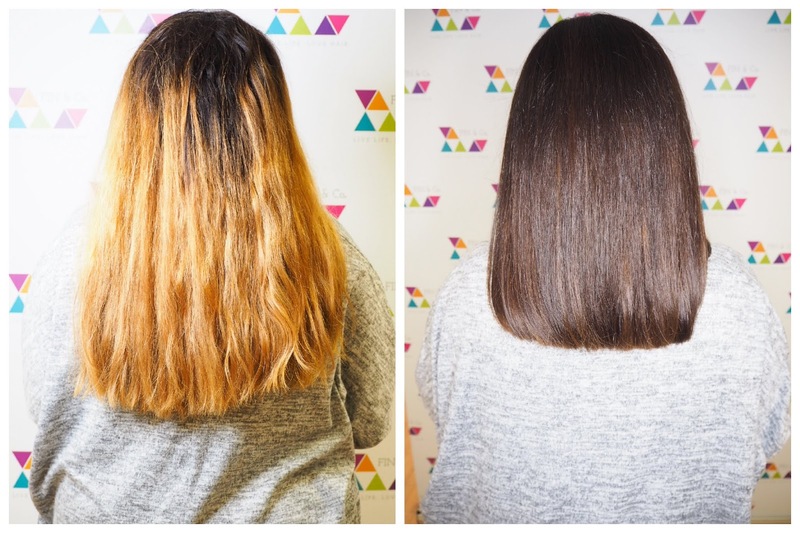 Using Kebelo pioneered carbocysteine hair technology that allow the treatment to support, strengthen and revitalise each strand from within, weak, dull, frizzy, unhealthy hair is transformed to beautiful smooth locks filled with bounce and volume. 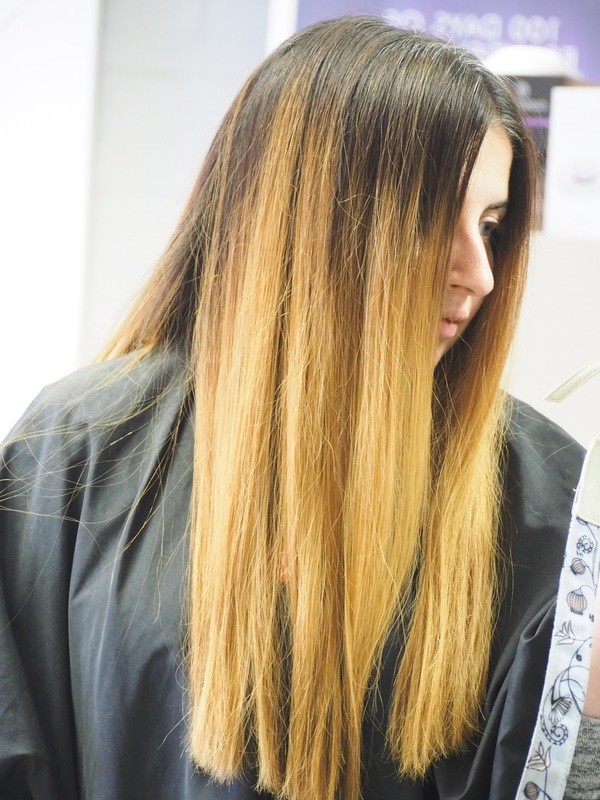 It only takes 1 hour to achieve perfect hair that lasts for 100 days, and you can have your hair coloured straight after. 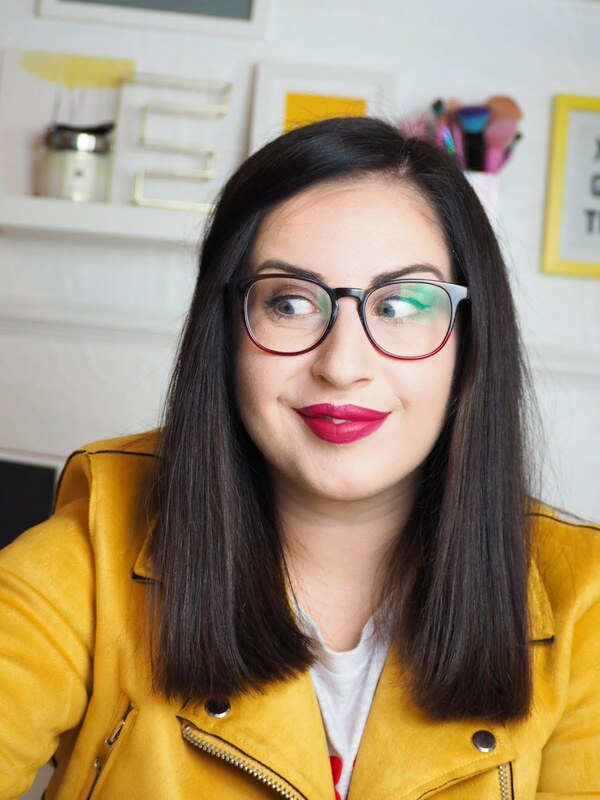 This unique foundation treatment lets you loose the frizz whilst maintaining the bounce and volume, giving you even more styling freedom and an unbelievably healthy shine." Kelsie then washed out the treatment, dried it again then Ashleigh took over to cut and colour my hair. - I should note here that we weren't sure how much we were going to cut off until Ashleigh came in and did it.. so I still feel bad that poor Kelsie Kebelo'd my whole long hair then we took a pair of clippers to it and whacked off loads. Ashleigh and I decided on a warm very dark brown shade, which is closest to my natural hair colour. We also mixed two shades of brown to give it a more natural look, and cover up those pesky greys. At the point of washing out the dye from my hair, the last Kebelo step was applied to seal in the treatment. The benefit of Kebelo is it can be used in conjunction with colour, and there is no returning for additional steps, so it is perfect if you are busy like me. For the cut we trimmed my undercut again, and we did a very blunt, straight cut. 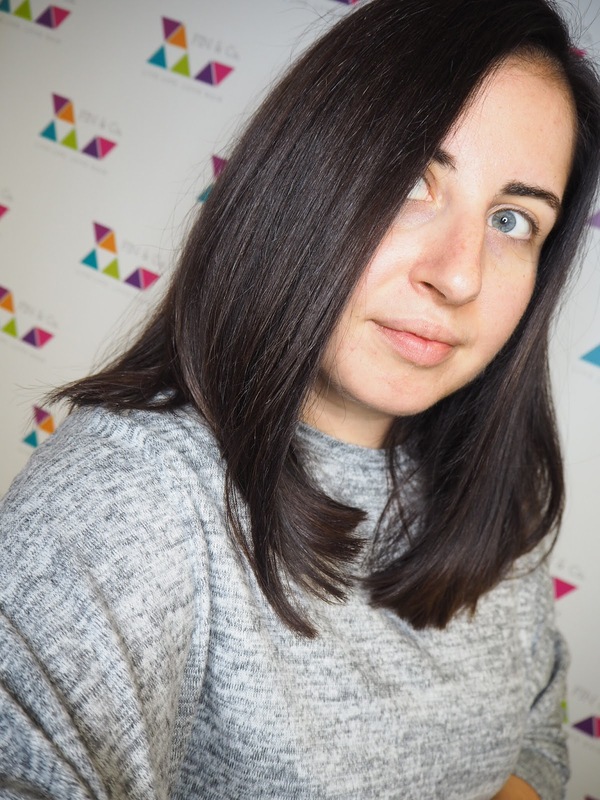 A blunt cut can often be used on thin hair to give volume, so it is always a risk doing it on thick hair like mine, but with the length we went for and the Kebelo treatment my hair looks fab, and sits beautifully. I am so in love with how my hair looks and the condition it is in. 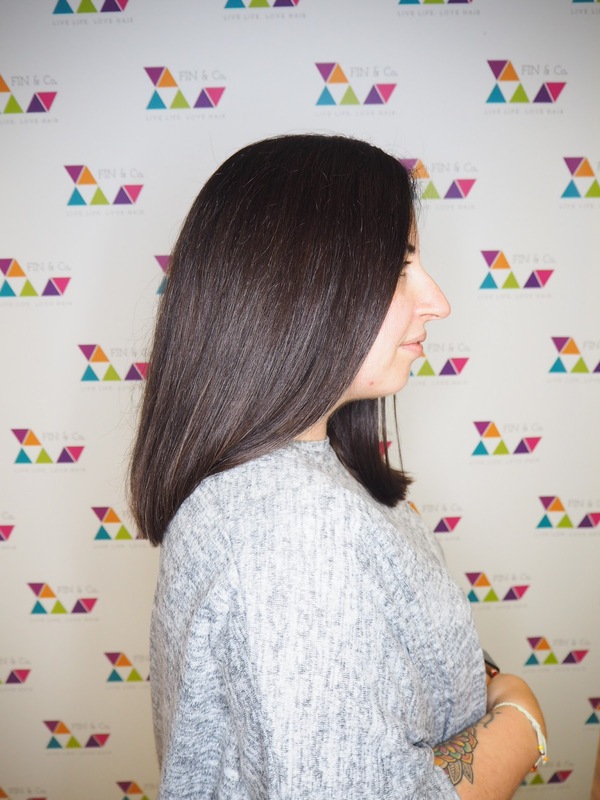 The Kebelo treatment has reduced my drying and straightening time by a third, so even with the hair cut it is WAY more manageable, and as I only was my hair twice a week I am pretty confident I will get longer than the 100 days from the treatment. My hair is softer, and dries soft, frizz free and so easy to manage. I have already recommended Kebelo countless times to friends with thick or unruly hair, and would happily pay to have it done when the time comes to repeat. If you haven't watched my story on my visit to Fin & Co it is on my Instagram under highlights!